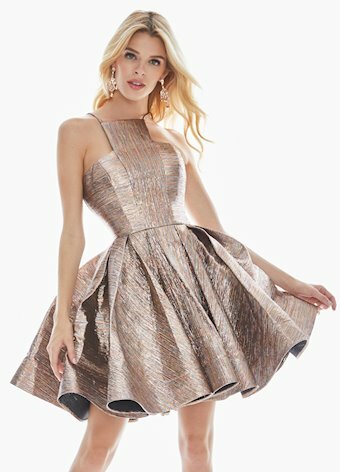 This A-Line metallic brocade cocktail dress has a modern halter top neckline. 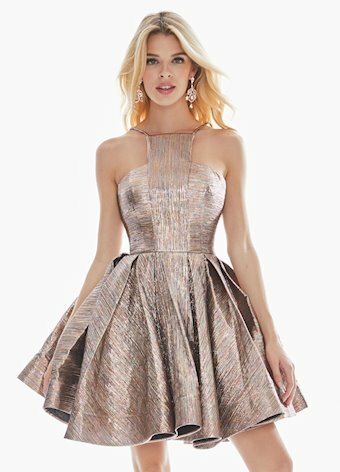 The A-Line skirt is pleated for extra flounce. The skirt is complete with pockets.